Are jurisdiction-free sports betting sites the future of online bookies? But wait – there’s another item on the agenda, and it could blow the lid right off two decades worth of regulatory structuring. Now, there’s talk of jurisdiction-free online betting. Technology is finally advanced enough that, via satellite and the enigmatic “Cloud”, bookmakers will no longer need to base their operations upon terrestrial ground. It’s being hailed by some as the best thing since sliced bread, giving bookies more freedom and punters better deals. No laws, no wagering restrictions, no taxes, no costly overhead. What could possibly go wrong? If a ship were to set sail for the open waters, it would no longer be subject to land-based laws. Even if betting on sports were illegal in the jurisdiction in which the vessel was previously harbored, once that ship sails into the open ocean, such laws no longer apply. Passengers aboard could legally place all the bets they wish, collecting winnings without a care, or drowning the sorrow of their losses in whatever beverage they deem appropriate. The exact same rules—or lack thereof—apply to “The Cloud”. The Cloud does not exist on terrestrial land. It does not even exist in the air above us. It’s an impalpable, intangible, unsubstantial thing. It exists, and yet it has no location. Therefore it cannot be regulated by any jurisdiction on the planet. With today’s technology, it is no longer necessary to house any website operation on a physical, land-based server. It is possible to upload all amenities of an online sports betting website onto this enigmatic cloud, bouncing information and monetary bets and payments off satellites. A website that resides wholly within the Cloud would be obligated to no terrestrial authority. It would be bound by no betting restrictions or limitations. It would be required to pay no taxes or licensing fees. The benefits for players could be enormous. Their privacy could be 100% maintained. They would get the best deals, the best odds, the greatest promotions, because all of the operator’s savings could be passed on to the customers, creating a surreal gambling vertical in which no traditionally licensed and regulated online sportsbook, and certainly no land-based bookie, could possibly hope to compete. 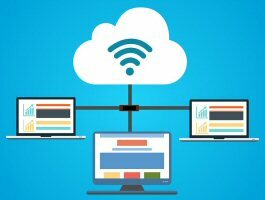 Betting On the Cloud – Pure Genius or Devil’s Playground? It all sounds so wonderful, but let’s consider the consequences for a moment. Think back about two decades ago when the internet first played host to online casinos, poker sites and sportsbooks. There were no terrestrial regulations to cover internet gambling. It was a free for all! Some websites were on the up and up, and some weren’t. Unfortunately, those that weren’t had no one to answer to, creating a dangerous game of trial and error for players. Wouldn’t a lawless cloud-based gambling market be just as dangerous? Only the most reputable names in the iGaming industry could be trusted, and even then, there’s nothing to stop them from going rogue or spending players’ accounts. If jurisdiction-free sports betting sites are the future, who’s to keep the Cloud from becoming the Devil’s playground? Malta developing framework for cryptocurrency online casinos. Malta is one of the premier regulatory bodies for the online gambling industry, second only to the UK in terms of strictness. 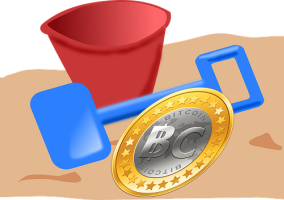 However, they’re jumping out ahead of their jurisdictional neighbors this month with the launch of a Sandbox Framework aimed at setting up regulatory guidelines for digital currency online casino licenses. According to the press release, Malta’s new framework will be delivered in two phases. The first will begin in January 2019, when the MGA will begin accepting applications for the use of Distributed Ledger Technology (DLT) for remote gambling payments. DLTs include Virtual Financial Assets (VFAs) and Virtual Tokens (VTs); all of which fall under the broader category of cryptocurrencies like Bitcoin, Ethereum and Litecoin. The second phase will see the MGA accepting applications for the use of ITAs as technical equipment for remote gaming licensees. A time frame for phase two has not yet been decided, but will coincide with future developments to be launched by the Malta Digital Innovation Authority (MDIA). “By consolidating perspectives of fellow stakeholders, the gaming industry, financial services operators and key experts in these type of technologies, the MGA is issuing this sandbox regulatory framework for VFA adoption and the leveraging of innovative technology arrangements, such as DLT, within the gaming sector. Farrugia told attendees of the Delta Summit that his vision for MGA is to “be at the forefront of gaming regulation while embracing innovation”. The use of digital currencies at online casinos is an area of rapid growth, prompting the jurisdiction to initiate a Sandbox Framework that will allow such technology to exist in a “controlled regulatory environment”. He notes that the framework is a “live document”, thus open to feedback and potential updating as technology and corresponding regulations develop. The MGA is predicting the framework to run for 12 full months, ending October 2019. However, an extension may be granted as the situation revolving around DLTs, VFAs, ITAs and cryptocurrency online casino payments continuously evolves. Underage online casino cheat & parents face criminal charges. Generally speaking, today’s most reputable online gambling sites are extremely secure. They employ the same, strict safety protocols as government banks. Their financial systems are locked up tighter than a maximum-security prison. Every once in a while, though, things go awry. A pin-hole sized glitch in a system upgrade that goes undetected by programmers can become a wide open door for a computer whiz with the right knowledge and keen skills of observation. Such was the case recently when one young man was caught successfully cheating online casinos out of a quarter of a million euros. The hacker’s name has not been revealed, and for good reason. He was a minor at the time. To protect his identity, his parents’ names have not been revealed either. But all three of them are facing criminal charges following the boy’s duplicitous online activities. According to last week’s report in Finland’s Yle News, the minor is being charged with aggravated fraud, while his parents face allegations of aggravated money laundering. The young man, hailing from the southern municipality of Forssa, has admitted to scamming an online casino out of approximately €250k. 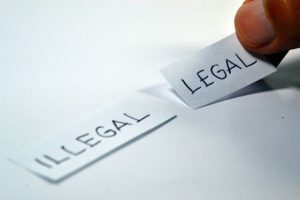 He told Finnish authorities he signed up an account with the Maltese-registered gambling website using a false date of birth, thereby granting him legal-age access to the site. No identity checks are performed until a new player makes a deposit, thus his faulty ID was never investigated by the operator. He was then able to identify a glitch in the operation’s banking system which allowed him to reverse other members’ withdraws back to the casino, and direct them into the bank account of his choice. He chose to send it to his own bank account, of course, as well as the bank accounts of his parents, who clearly failed to report anything amiss when miscellaneous funds came pouring into their accounts last year. 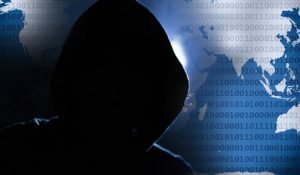 Documents show that the young man utilized the IT glitch to steal money from the online casino 417 times between April and May of 2017. All told, he took the online casino for about €252,000. In July 2017, an employ of the online casino discovered the discrepancy. That’s when an investigation into the matter, and the security glitch, got underway. In the modern age of technology, not all parents realize what their children are doing online these days. According to prosecutors, the parents of the young hacker were by no means blind to his actions. They knew full well that an inappropriate sum of money was present, and apparently had no issue using it for their own purposes. His father was in possession of more than €14,000 of the stolen money, held in his personal bank account. His mother had another €2,300 of it in her personal account, and had used approximately €5,000 more to purchase a motorcycle. For all of their parts in the online casino cheating scandal, prosecutors are calling for a 20-month prison sentence for the young culprit (who is now 18 years of age), a 5-month suspended sentence for the boy’s father, and a more lenient suspended sentence for his mother. The case went before the Central Häme District Court last Monday. A judgment is expected to be delivered on Monday, September 3. Ultimate new user guide to online casino gambling in Canada. Gambling is an extremely popular pastime in Canada. In 2000, right around the time internet casinos were starting to blossom, an international study revealed that 70% of Canadians participate in some form of gambling each year. With the rise of online and mobile gaming options, that number is sure to have increased. Those of you seeking to venture into that realm surely have a lot of questions. Is it legal? 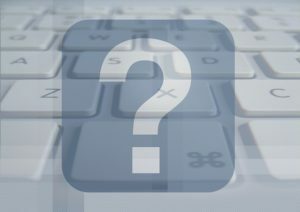 Can I access offshore websites? Are there convenient banking methods, and are they secure? Today’s ultimate new user guide to Canada online casino gaming will answer these questions, and more. Is Online Casino Gambling in Canada Legal? Yes, it is. Gambling is legal in every province and territory of Canada. There are no specific laws that discriminate between land-based and online gambling. Therefore online casinos are perfectly legal, too. There are two basic types of online casinos for Canadian players. There’s the provincially regulated variety, and the offshore variety. Only the provinces of British Columbia, Manitoba, Ontario and Quebec host provincial casino sites (plus online lottery in the Atlantic regions), and you must live within the respective province to access them. Offshore casinos accept players from various countries, with Canada typically included. Are Offshore Online Casinos Legal? Yes, they are. Despite the efforts of provinces to change that fact, there is no law preventing Canadians from accessing internationally regulated gambling websites. It is equally legal for an international gaming operator to accept Canadians, so long as they follow one express rule. The Criminal Code determines what types of gambling can be legal. The only way an online casino would be illegal is if it has a physical presence in Canada, but does not acquire a provincial licence. By remaining offshore, and opening no offices on Canadian soil, no laws are being broken. How Do Deposits and Withdrawals Work? Most online casinos offer a wide range of deposit methods. Credit cards, debit cards, prepaid cards, online payment processors (EcoPayz, Neteller, Skrill, etc. ), bank transfers, instant eChecks—these are all common options. The key is to pick the one that best suits your needs. They are incredibly secure, as well. So long as you choose reputable gaming websites, and keep your own computer or mobile device secure, you have nothing to worry about. Are Online Casino Winnings Taxed? Typically no, Canadians do not pay taxes on any gambling winnings. The Canada Revenue Agency states, “an individual may be subject to tax on income derived from gambling itself, if the gambling activities constitute carrying on the business of gambling”. Therefore, the only players who pay taxes are those that gamble ‘professionally’. If you gamble regularly, and make consistent profits from it, then you may be subject to taxation. But as a casual player, no. You can learn more about the minutiae of Canada gambling taxes here. Can I Play in CA$? Yes, usually. If you play provincially regulated Canada online casino games, all wagers are in Canadian Dollars. 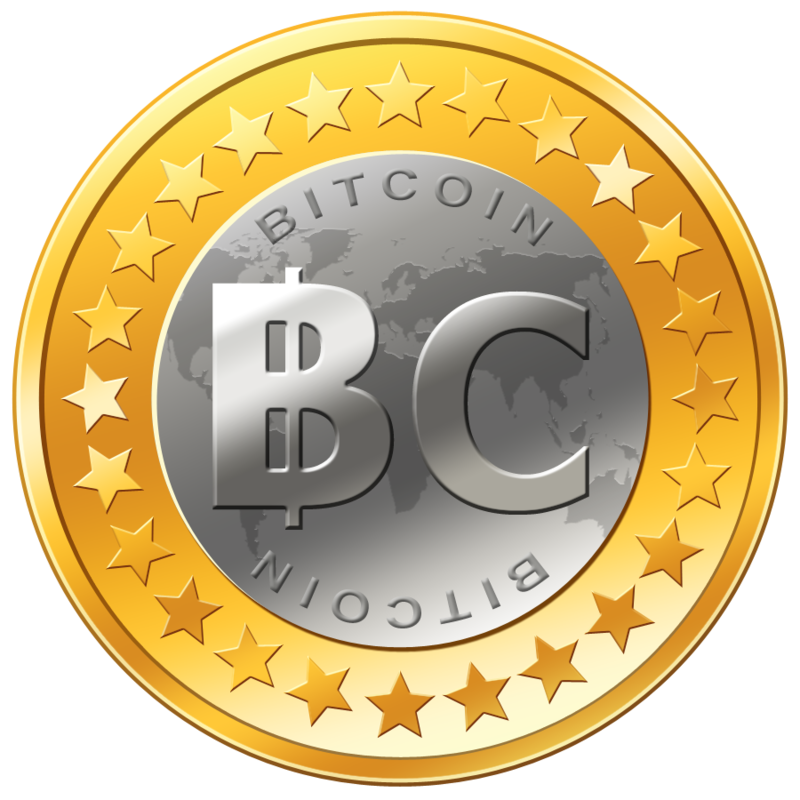 If you choose to play at internationally regulated websites, some of them do offer CA$ deposits and withdrawals. Be sure to skim over the banking options and payment details to see if it’s available. The major benefit to online casino gambling in Canada’s own currency is the avoidance of foreign exchange rates. Although relatively inexpensive, currency exchange fees do add up over time, taking away from cash that should be part of your bankroll. How Long does it take to Process Online Casino Deposits? How long do online casino deposits takes? If you’re wondering how long it takes to process online casino deposits, it’s safe to assume you’re new to the iGaming community. Don’t worry, we’ll answer all your depositing time frame questions, and maybe a few others along the way. IMPORTANT: Before I go on, assuming you are new to real money online casino games, please heed this warning. Only register an account and deposit with reputable, well-established gambling sites that are licenced, regulated and in compliance with the highest security and player protection standards. Join a brand new or disreputable site that’s licenced in some lax jurisdiction like Costa Rica, and you’ll have no trouble depositing, but you may hit a brick wall when it comes time to cash out! How Long do Online Casino Deposits Take? The truth is, the time it takes to process a deposit depends on the payment method you use. Some can take a few minutes, others a few days. Fortunately, most are instant, appearing in your account within seconds of submitting the funds. We’ll briefly review the most common payment methods, and the time it takes to process online casino deposits. Visa and MasterCard are accepted by almost every online casino on the market. Some also accept AmEx and Discover, though these sites are rare. The time it takes to complete a deposit depends entirely on the time it takes the credit card company to approve the purchase. Most often, it’s about a minute; up to 3 minutes at most. Thanks to electric fund transfer (EFT) technology, debit card purchases are instant. As soon as you press the button, the payment info is sent to your bank, which immediately checks to see if the necessary funds are available, then responds with a yes or no. It’s all electronic, so we’re talking a matter of seconds here. The funds won’t actually arrive in the casino’s bank for a few days. But the beauty of EFTs is, since the operator knows it’s coming, they grant player’s access to the money immediately. Prepaid cards, gift cards and vouchers work the same as credit cards. It takes about 1-3 minutes at most to verify that the funds are available before the deposit is approved. Instant eChecks are an electronic version of paper checks. Instant Bank Transfers are essentially the same thing, but do not require the check number from a paper check. Both are sent via EFT, and require the player’s bank account number, along with the bank’s name and routing number. Being EFTs, they are both processed instantly. Web wallets (aka eWallets or online payment processors), include companies like ecoPayz, EntroPay, PayPal, Neteller, and Skrill. They create a link between the player and their personal bank account, allowing players to deposit funds to the eWallet, or transfer them to the casino direct from their bank. Web wallets are a very popular among online casino players. Not only are they an instant deposit option (using EFT technology), they are also eligible for withdraws. Most will even supply their members with an ATM card for instant access to their money following a cashout. Bank wires can be slow, and expensive. Unless you have no other option, this probably isn’t the best way to go. 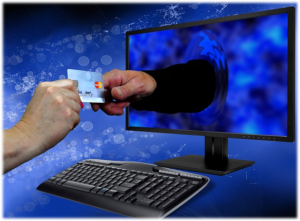 Wire transfers usually take 2-3 business days to arrive at the online casino’s bank. Some operators will go ahead and grant you access to the funds, so long as they are assured the money is on the way (similar to EFT). Check the details on the casino’s banking page before using this method. Virtually no one uses this method anymore; at least not for deposits. Withdraws yes, when time isn’t of the essence, but that’s about it. It is still an option at some gambling websites, though, so we’ll include it here. An international casino can take 2-3 weeks to receive this form of payment. So if your purpose of researching how long online casino deposits take is to find something quick, don’t choose this one! The trials and tribulations of online casino multi-accounting. Since the dawn of the internet, players have tried to find ways to cheat online casinos. One of the most common ways is to open multiple accounts. Doing so will, theoretically, give players access to more than one new player welcome bonus—historically the most generous bonus offer any online casino will present. Offering to double, triple, even quadruple a new member’s first deposit is a very attractive promotion. Many player’s hope to hit a big win on that bonus, completing the wagering requirements and cashing out for a tidy sum. Unfortunately, the odds are rarely in the player’s favor. And when things don’t work out, some are tempted to sign up another account, and take another shot at it. No ifs, ands, or buts about it—account cloning at online casinos is a bad idea! There’s one very simple answer… multi-accounting is illegal. There’s no real money casino site on the face of the planet that allows players to sign up more than one account. Those who are caught doing it could get in quite a bit of trouble, depending on how serious the operator takes it. Within the terms and conditions of every online casino website is a clause that states a player may only have one account. In fact, in order to better detect and prevent multi-account violations, only one account per house-hold (physical address) may be opened. And, only one person is eligible to use the account. So if your spouse or roommate wants to do some online gambling of their own, they’ll need to find some other casino website to do it at. If two people with the same address sign up to the same casino, the second account will probably be denied registration. If the registration succeeds, both accounts risk closure. The consequences for violating this rule can be anything from a slap on the wrist, to time behind bars. Yes, jail is an option, if the casino wants to pursue charges. A slap on the wrist would be nothing more than immediate account closure, with the player’s funds returned to them. It’s up to the operator whether they want to return those funds, though. If they have any reason to believe you opened multiple account for the purpose of bonus abuse (claiming multiple welcome bonuses), they won’t likely return your balance. If they believe it was an innocent mistake (two people in the same house), you might get off easy. Most gaming regulators provide operators with the right to press charges in serious cases. If a player is suspected of bonus abuse, the penalty could be a substantial fine and/or jail time. So believe me when I tell you, online casino multi-accounting is not something you want to be accused of, or worse, convicted of. Online or on land, gambling is big business, and they take their services seriously. They won’t look kindly upon anyone attempting to cheat them out of money. 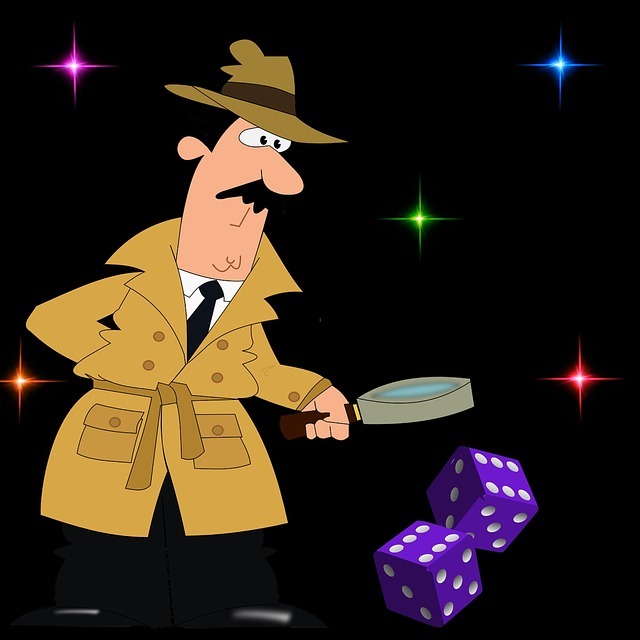 Online casino reviews are helpful, but due diligence is better. Every single day, countless people rely on the information of online gambling review sites. Some of these websites are great, detailing every worthwhile aspect of an operator, its software, and its payment systems. Unfortunately, these types of sites fall into a very small minority. 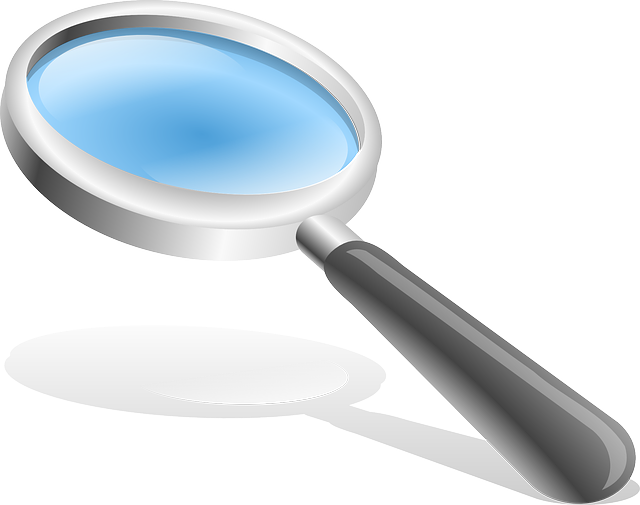 Most online casino surveyors don’t go nearly that far. They will skim over the basic topics, hitting harder on the promotional aspect than anything else. These sites are managed by indifferent affiliates who are just looking to make a buck. So long as they can convince you to join a casino and make a deposit, they get paid. That’s the only thing they’re interested in. A thorough online casino review will cover a lot of topics. They’ll tell you the basics, like software supplier and game variety, welcome bonuses and other promotions, and what payment methods are available. But they go way beyond that. The reviewer will note the operating company of the casino, its year of establishment and reputation during that time. You’ll learn about where that operator is licenced, and if the software supplier is certified for fairness. The reliability of customer support and modes of contact will be on display. In rare cases, the writer will detail actual communication between them and the online casino support team. These are the best online casino review sites, and are the first place you’ll want to gather information when seeking out a new gaming site to play at. But once you’ve read enough to select a casino, don’t stop there. Even the best online gambling site reviews rarely go far enough to deliver 100% peace of mind to their readers. For that, it takes extra due diligence on the player’s part. There are three things you want to investigate for yourself. Casino Licence: First, go to the casino website, scroll to the bottom and double-check on the licencing info. If they claim to be licenced in Malta, for example (MGA), click on that icon to make sure it goes to the regulator’s websites, and shows that the company is indeed licenced there. If the licencing info/image isn’t linked, chances are the licence either doesn’t exist, or is expired. Software Certification: Software certification is generally listed at the bottom of the online casino website, near the licencing info. Microgaming-powered casinos, for instance, will always display the Microgaming logo and the eCOGRA Safe & Fair logo, right next to each other. Microgaming is the software supplier, eCOGRA is the auditor that certifies it. Click on the certification link to ensure the software is actually certified by that third-party company. 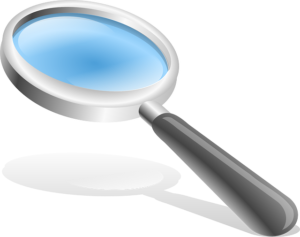 You can even go a step further, investigating the auditing firm to make sure it’s reliable, as well. Payment Processor: Just knowing the payment methods available is helpful, but what about the company that the casino employs to process its payments? Sometimes, it’s not the casino’s fault for security flaws or slow withdrawals, but rather the payment processing firm that’s to blame. Online casinos that fall under group operation (i.e. Digimedia operates over a dozen brands) often host proprietary payment services, ensuring the payments are as reliable as the casino operator itself. For those that outsource processing companies, you’ll want to check on the reputation of that firm. If all of these things check out, you can rest assured that you’ve done your homework. Combining the information of unbiased online casino reviews with a little elbow grease will provide ultimate peace of mind. Online and mobile gaming companies headed to London for ICE 2018. All eyes will be on London, UK next week as every offline, online and mobile gambling company worth talking about prepares for the 2018 ICE Totally Gaming expo. It is one of the largest, globally renowned summits for the land-based and internet gaming industry. 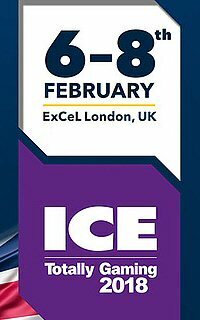 ICE 2018 is schedule to run February 6-8 at the ExCel London. Not only does it give start-ups an opportunity to rub-shoulders with expert big-wigs, it gives online gamblers like myself a glimpse into the impending future of the industry. This year’s event will host 500+ exhibitors, and bring together over 400 gaming regulators from 65 jurisdictions, shaping the regulatory landscape in the months to come. “We are delighted to host so many regulators from such a wide geographical reach which stretches from Argentina to Australia, Bulgaria to Brazil and Ukraine to the United States,” said Kate Chambers, Managing Director of Clarion Gaming and the lead organizer of the ICE Totally Gaming conference. One of the most anticipated highlights of this year’s event will be panel discussions revolving around the potential for live and online sports betting regulation in the United States. If the US decides to lift the 20+ year ban on sports betting (outside of Nevada), it could have a major impact on other jurisdictions. Canada, especially, may be encouraged to alter its current parlay-only betting style to better compete. For the first time in ICE history, the event will dedicate 4000sm of space to Payment Solutions. Organizers believe this will be a ‘must see’ feature at this year’s conference. ICE says this area “will provide a focal point for international visitors wanting to meet and engage with key innovators and thought leaders in the sector”. In another first for ICE London, Clarion Gaming is solidifying its commitment to social responsibility with an inaugural Consumer Protection Zone. This section will be devoted to promoting social responsibility; a crucial topic in modern regulatory regimes. Last year’s ICE 2017 drew a record breaking attendance of 30,213 visitors. This year, they are expecting to record an all new high. Organizers say the show is going to be bigger and better than ever before. ICE 2018 will occupy 18 of the ExCel London’s 22 capacious halls. More than 500 exhibitor booths will fill the 43,500sm of floor space. ICE says this represents the sixth straight year of expansion for the global offline, online and mobile gaming expo. Sifting through the attributes for the best CA online casinos of 2018. We want the best of everything in life. If we go shopping for a car, we don’t just want an engine that starts. We want a car with low mileage, good tires, regular service maintenance, and an engine that purrs like a kitten. Only the best car will do. We want to know that we’ll be safe and secure, and won’t break down on the side of the road. But we also want one that’s aesthetically appealing and fun to drive. This applies to everything in life, from clothing to kitchen appliances. So why shouldn’t we demand the best from Canada’s online and mobile casinos? If we’re paying for entertainment, we deserve the best in every aspect. Skimping is not an option! There are multiple factors to weigh, just like buying a new car. You’ll want a casino website that is safe and secure. It needs to have a proven performance record, as well as an appealing game variety and lucrative promotional package. The following aspects should be scrutinized closely. Although not the top priority, I know bonuses are important to everyone, so I’ll start here. We all want a big, fat bonus that will at least double our starting bankroll. But the size of the bonus is equally important as the terms involved. Can you cash out the winnings? Does it have a reasonable expiration date? Can you play all the games you want with it? Read the terms – know the terms – abide by the terms! An operator’s reputation is crucial to a positive experience. You need to know that your deposits and withdrawals will be honored. A site with a bad reputation is obviously the wrong choice, and reputations are all-too easy to come by in this day and age of social media. It won’t take much digging to learn an operator’s true reputation. However, to obtain a reputation, good or bad, a site must have longevity. Don’t sign up with an operator that just launched. Stick with tried-and-true CA mobile casinos that have been around for years, and have built a good reputation based on customer satisfaction and loyalty. Today’s gambling websites are much more secure than they were ten or twenty years ago. Technology has come a long way. The most responsible operators employ the highest standard of security measures, including 128+ bit SSL data encryption. This ensures all personal and financial information is ivisible to prying eyes during transmission. This is more of a personal preference than anything. What types of games do you expect to play? If you’re a slots lover, you’ll want a site with a wide variety of slot machines – classics, video slots, multi-feature slots, etc. If you prefer table games, make sure all your favorites are available. Check out the live casino offerings as well. Live dealer blackjack can be way more interesting than the traditional, RNG-inspired games. This is another crucial aspect to look into. If the software is slow or twitchy, it will undermine the entertainment value. It also needs to be regularly tested and certified for fairness. Choose a brand that provides RTP transparency, exhibiting the theoretical payback percentage for each game within its information tab. You’ll also want to make sure it’s compatible with any and all devices you intend to play on. Is a download required, or even offered, for desktop play? Can you login and play from a smartphone or tablet? Is it optimized for your mobile operating system (Android, iOS, Windows Phone, Blackberry, etc.)? Take a look at all the payment options available. Make sure you have a convenient and cost effective way to get money in (deposit) and out (withdrawal) of the casino. What brands of credit/debit cards are accepted? Can you use a web wallet like Skrill, or a prepaid card/voucher? You should always plan ahead. Know what withdrawal method you’ll use before you make your first deposit. Last but not least is the matter of local versus international regulation. Several Canadian provinces offer a home-grown gambling website. Let me start by saying both are perfectly legal. By law, players cannot be penalized for choosing to deposit and play real money casino games at an offshore gambling website. However, there are benefits to both sides. Playing locally guarantees compliance with the regulations of your province. There’s no question as to whether payments will be honored, or whether the games are fair. Local regulation provides the ultimate player protection package. As for international websites, the best CA online casinos of 2018 offer the exact same assurance, and provide a much wider variety of games. They are also able to deliver regulars bonus promotions you won’t find at local websites. The key is to follow the guidelines above to ensure you’re playing at a safe, secure, and reputable website. Bank of Canada Governor calls buying Bitcoin gambling, then turns around to admit central bank is exploring developing its own digital currency. Don’t you just love it when political big wigs contradict themselves while paving the way for their own agendas? It makes for great headlines, that’s for sure. But it does nothing to help the progress of the people. Someone should mention that to Bank of Canada‘s governor, Stephen Poloz. In preparation for today’s live interview with Peter Armstrong on CBC‘s On The Money, Poloz commented on major issues facing the country. He spoke of the housing market and household debt, and rising costs that will likely become a long term issue. He mentioned the need for more “on-the-job training programs” to help young people fill an expanding gap in employment. 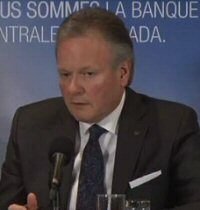 Poloz also commented on cyber security risks for the financial system’s infrastructure. He called internet banking methods “a public good, every bit as a important to the health of Canada’s economy as our roads, bridges and airports.” However, he fears that the billions of dollars transacted by Canadian’s each year online are not free of risk. Over the years, government-level cyber security – such as the security measures implemented by all members of the central bank – has been effective. But according to Poloz, everyone who shops or pays bills over the internet, or uses things like online gambling sites, could eventually be at risk. In his closing comments, the BoC governor spoke of the growing popularity of the crypto-currency known as Bitcoin, and other digital currencies like it. He expressed concern over the rising interest in digital currency investment, and the mystery behind their alleged value. Poloz made it clear that he doesn’t approve of investing in Bitcoin or other crypto-currencies. Yet in the same breathe, he acknowledged the central bank’s potential need to develop a digital currency of its own. He believes the rising propensity for electronic transactions could be the catalyst for a new demand in electronic cash. And if that’s the case, the central bank could see this as a viable argument for producing its own version. It’s not only a possibility, but something the Bank of Canada is already investigating. “Bank staff are exploring the circumstances under which it might be appropriate for the central bank to issue its own digital currency for retail transactions,” admitted Poloz. 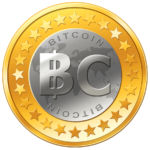 Buying Bitcoin and investing in existing digital currencies is nothing more than gambling. We shouldn’t do that, since the risk element is higher than traditional investment opportunities. But we should support the central bank’s potential need to create a digital currency of its own. Okay. Got it, Poloz. Thanks for the heads up!